Crider Fishing Charters offers near shore and inshore fishing charters in the Daytona Beach area including, Halifax River, Spruce Creek, Mosquito Lagoon, Ponce Inlet, and anywhere in between! 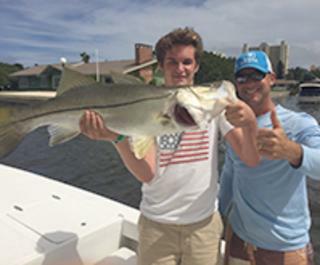 Inshore charters target Redfish, Trout, Snook, Flounder, Sheepshead, Bluefish, and Snapper. Near-shore charters will target Cobia, Sharks, Tarpon, Jack Crevalle, King Mackerel. 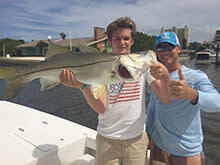 Inshore Night Fishing trips target Snook, Trout, Tarpon, Snapper.